GONVVAMA is a joint-venture between VAMA and Gonvarri with 50% to 50% share partition. ArcelorMittal ATMB and Gonvarri will transfer the technological knowhow to GONVVAMA to provide downstream automotive steel solutions to customers. VAMA stands on the firm ground of strong partnership between ArcelorMittal and Valin Steel. We assure life-long value to customers and strive together to lead Chinese automotive industry to the next level. VAMA is committed to provide superior quality and stable steel solutions, reliable deliveries, and uniform business platform keeping highest standards and control. Through high quality products & services, VAMA opens boundless opportunities for its customers. VAMA is a people centric organization with focus on nurturing talent and people development. Our multi-cultural workforce allows us to accept best industry practices from around the world and promptly respond to changing market expectations. VAMA, supported by ArcelorMittal's outstanding R&D capabilities, is developing products which will help automotive partners to make safer, lighter and greener vehicels. VAMA cares and is responsible for wellbeing and development of its entire ecosystem, including partners, employees, community, and environment. 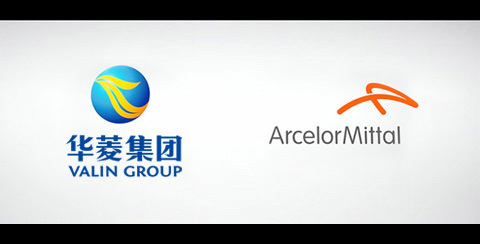 Valin ArcelorMittal Automotive Steel Co., Ltd. (VAMA), located at the economic zone of Loudi, has been jointly established by Valin Steel and ArcelorMittal. The registered capital of the company is 4.01472 billion yuan, with 50% and 50% held by Valin Steel and ArcelorMittal separately. Get ready to immerse yourself into VAMA’s exciting, challenging, and multicultural work environment. Come forward and be part of our highly energetic and experienced team. We share the passion for learning and success. Knowledge, adaptability and perseverance form our DNA. We are young, we have dreams, and we are creating the futures together!